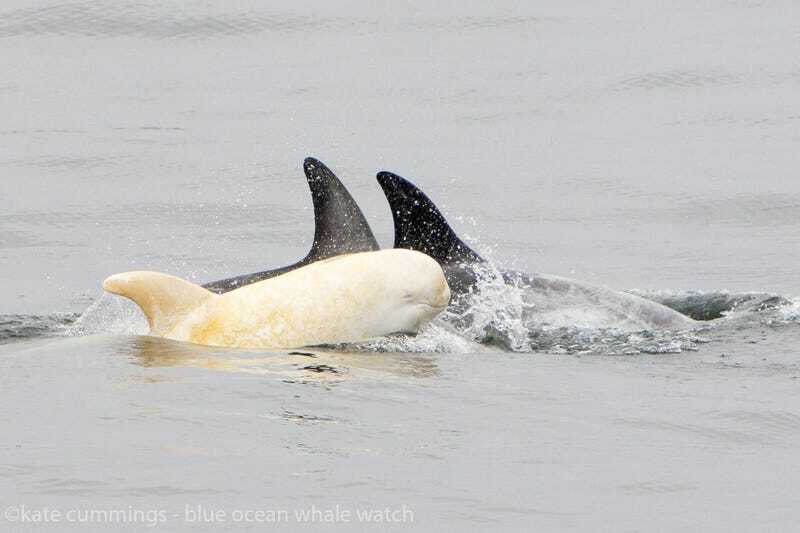 In 2015, whale watchers off the coast of California’s Monterey Bay caught a glimpse of an albino baby Risso dolphin. Now, the all-white flipper has made another appearance and damn is it cute. They grow up so fast! Albinism in animals is incredibly rare since it’s a recessive gene. The condition—which describes a lack of melanin production—is passed down genetically from parents to their offspring. The absence of melanin, which gives our skin, hair, and eyes their colour, makes albino animals white with pink eyes. 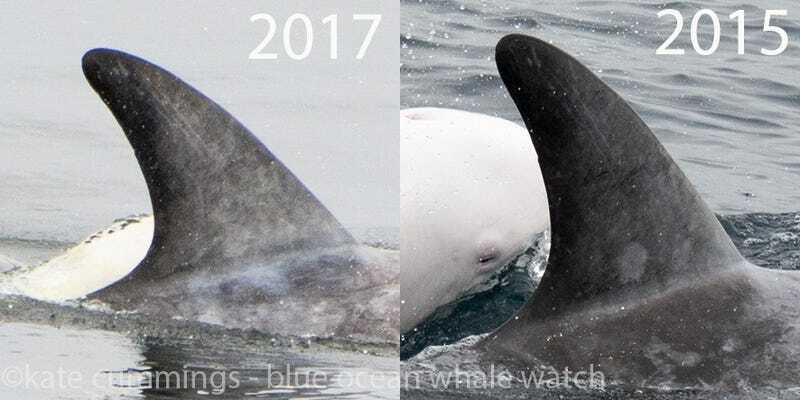 In photos from this year, the albino dolphin looks a bit more yellow than it did two years ago. According to Kate Cummings of the Blue Ocean Whale Watch, this is because of algae called diatoms. Here’s to you, little dolphin. Long may you swim. There's a new way of charging devices wirelessly, based on fundamental physics, that works even when your device is moving away from the power source. Don’t expect this sort of stuff to have any influence on your life just yet—but in the future, it could have some important quantum computing applications. Using new technology in multispectral imaging, researchers at Tel Aviv University have been able to illuminate text that’s been hiding on the ostracon all these years.